The Crestwood community reaches far beyond the walls of the school and this publication is a special way of keeping in touch with those that have moved on to begin their lives beyond the walls of Crestwood Preparatory College.Alumni have shared their experiences with post secondary education, careers and exciting experiences, as well as announcements of engagements and weddings. This publication is a great way for alumni to catch up and for our current Crestwood families to see the wonderful things our present student’s have to look forward to. I am very proud to present to our community our first alumni newsletter, appropriately dubbed “Branching Out”. Future additions will only be distributed to alumni, although options will be made available to others. It is an excellent publication,and represents an important part of the school mandate. A big thank you to Ms. Lisa Newton and all the contributors to this wonderful, and historic, publication. Sarah Bresler graduated from Crestwood Preparatory College in 2006. She went on to get her undergraduate degree at New York University with a double major in Journalism and Art History. During her time in New York, Sarah realized her passion for the fashion and luxury sector. She held a variety of internships during her schooling, including a sales internship at Esquire Magazine, and retail internship at Diane von Furstenberg. Immediately after graduating from NYU in the spring of 2010, Sarah moved to London, England and began her career in public relations, working for luxury travel PR agency, PRCo. Sarah worked on a variety of accounts including Four Seasons Hotels and Resorts, Porto Montenegro and Sandy Lane, Barbados. After two years in London, Sarah moved back to her hometown of Toronto to continue her PR career working for Siren Communications as an Account Manager. At this agency, Sarah managed luxury travel accounts including Silversea Cruises, Exclusive Resorts, Barbados tourism board, Auberge Saint-Antoine, and more. 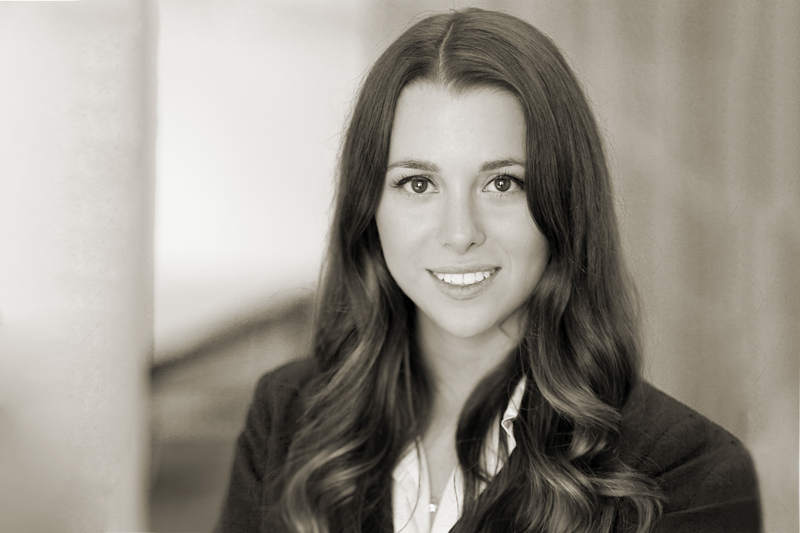 In March 2015, Sarah began as Public Relations Manager at Toronto-based start-up Far & Wide Collective (FWC). Dealing in fair trade goods from artisans in developing countries, FWC is a socially conscious company with the goal of helping with development around the world. FWC works with artisans in countries including Afghanistan, Kenya and Pakistan, to name a few, and sells beautifully crafted fashion and home décor goods to the international marketplace. After graduating from Crestwood, Stacey went to the University of Guelph. After a year and a half she decided to make a change.She came home to Toronto and enrolled in an Advertising and Media Sales program at Humber College. While at Humber, Stacey worked part time as a nanny. As soon as she finished at Humber she was hired at Zenith Optimedia as an Account Assistant. She worked on a broadcast team that was responsible for negotiating rates for TV and Radio advertising across all markets in Canada. Stacey has worked on several different clients, from automotive to retail to packaged goods and has applied so much of what she learned into practical experiences. After a year Stacey was promoted to an Account Executive and was recently moved on to a digital media team where she is looking forward to a new adventure! Jillian Katz graduated from Crestwood Preparatory College in 2010. Creative from a young age and always passionate about the arts, she continued on to study at OCAD University in Toronto. Initially an illustration major, Jillian quickly shifted her focus to graphic design. This enabled her to more deeply explore the possibilities within design: learning about both traditional and innovative design processes, theory and thinking. In June 2014, Jillian acquired her bachelor of design with a specialization in graphic design. Throughout her post secondary education, Jillian held internships in advertising, branding, editorial, systems and interface design. Her involvement in such a range of spaces led her to realize a fascination with user experience, design research and strategy. 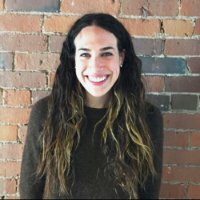 Jillian is currently a member of the design team at Idea Couture, a global strategic innovation agency based out of Toronto. Here, she works with a broad spectrum of media and fortune 500 clients to conceptualize and produce meaningful, beautiful, forward-thinking experiences. Matthew was born and raised in Toronto, where he grew up with his parents and two sisters. Matthew attended Crestwood from grades 7-12 and graduated in 2008, after which he moved to Halifax to attend Dalhousie University where he graduated in 2012 with a BA in Psychology and a minor in Law and Society. From there, Matthew attended Saint Mary’s University in Halifax, graduating in 2013 with an Honors Certificate in Psychology. After taking a year off to prepare for graduate school, he moved to Bristol, Rhode Island where he is currently completing a Masters in Forensic Psychology. Matthew hopes to pursue doctoral work in clinical psychology, with a forensic specialization. His goal is to teach at the university level, consult, and conduct research along with some counselling.